Books? lamp? 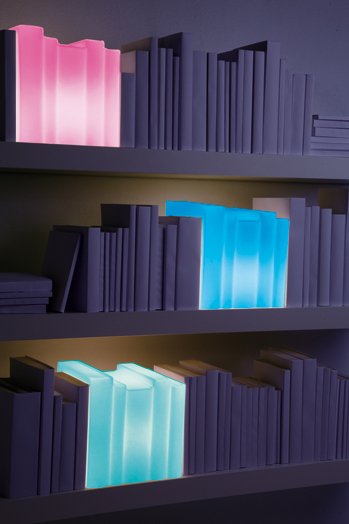 This is a lamp-books! 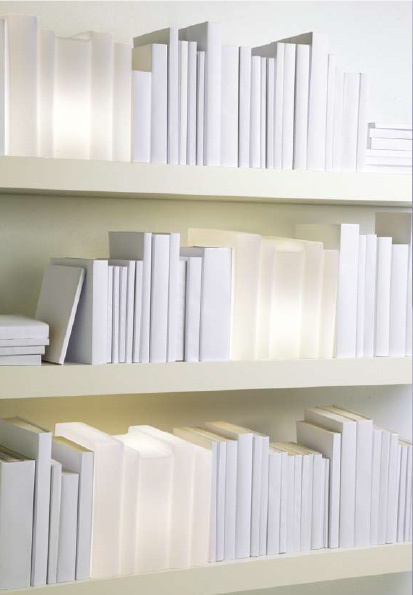 Associate books and light ... from reading , comes the light of knowledge and expertise. 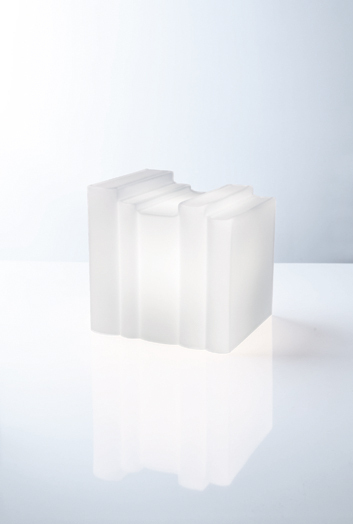 This white frosted glass lamp composed of five books lined up, can be placed in a bookcase, creating a halo of light to his fellow paper. 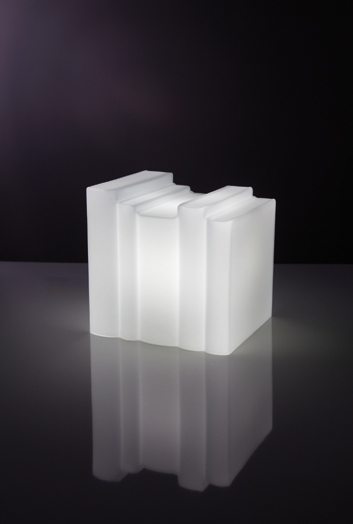 Multicolored LED 1.2 W with remote control. GU10 spiral 9 W max white light provided. Height Maximum 22 cm (8.66’’), Length 21.5 cm (8.46’’), depth 18.5 cm (7.28’’).